A week before I screwed up my right foot, I took my Mom and Grandmom for an outing to Liberty SP, in Jersey. Funny thing is that I have lived here for over 2 years, and have never made a trip there. To my surprise there was a fantastic paved cycle route there. The state park is quite peaceful and beautiful, and I look for such places to go on Sundays for bike rides. For me that was not the ‘only’ best part. 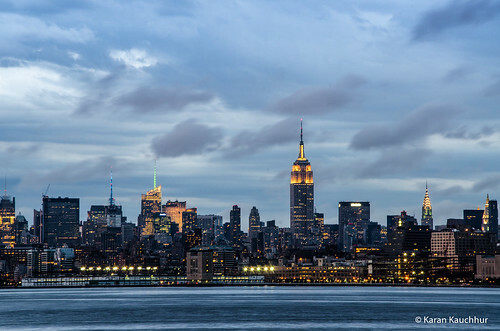 From there you get to see a beautiful view of the Brooklyn Skyline, and Manhattan skyline from a slight more distance. I used to generally drive to Hoboken to get the view. Overall quite enjoyed the place. There is a Ferry ride from there to Ellis Island and Statute of Liberty Island. 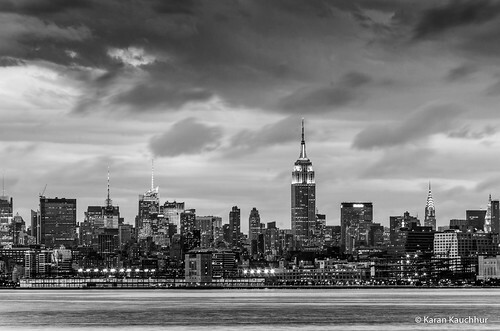 I always feel that NYC is best seen in B&W, so I could not resist making two versions of the same image. 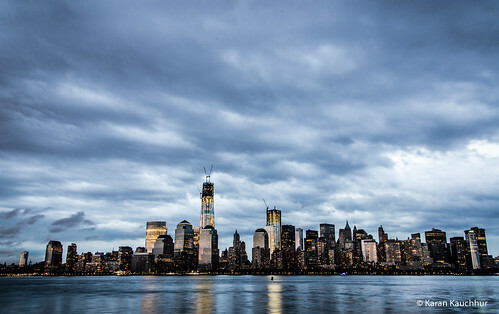 I tried to capture both the skylines in one shot, but unfortunately the Manhattan Skyline was a bit to far for a wide angle lens. 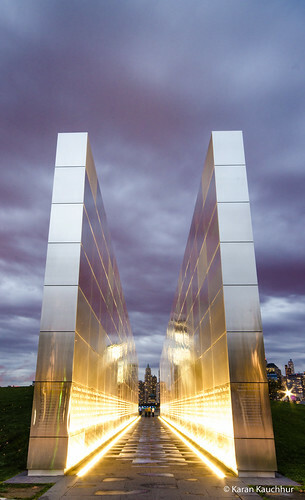 And this is the 9/11 memorial created on the Jersey side. We wen there just 2 days before the anniversary, else would have captured the Twin Lights as well. Also don’t forget to check out the ‘Goodies’ page for free Facebook Cover and Desktop Wallpaper of these images. 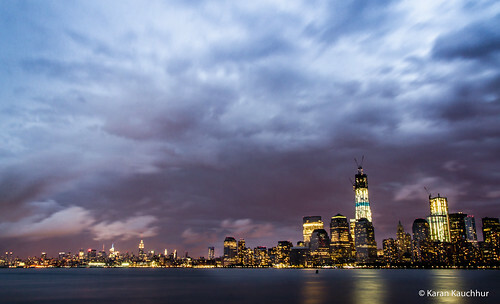 I was there the evening of 9/11/12, fabulous views all around. You did a great job capturing the feel of the city.